Pretty much immediately we hated this hotel and not just because we couldn't check-in when we arrived around noon and had to wait even after the normal check-in time of 3 p.m. to get a room key and then still wait 10 to 15 minutes for them to finish cleaning our room. The real thing that made us dislike this hotel immediately was that we learned it doesn't offer free breakfast, which of the nearly 100 Best Westerns I've stayed at all over the country (and China) have always had and the only reason I chose this hotel over the ones next door that were priced at $10 to $30 cheaper per night. 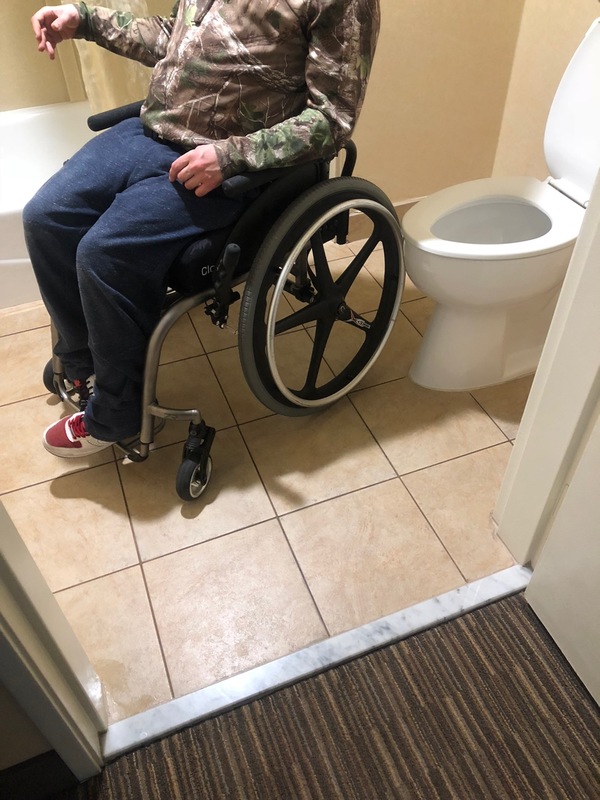 The room quickly added to our dislike of the hotel as the bathroom is not designed for the wheelchair to be rolled next to the toilet and, in fact, is barely large enough to even take in there. 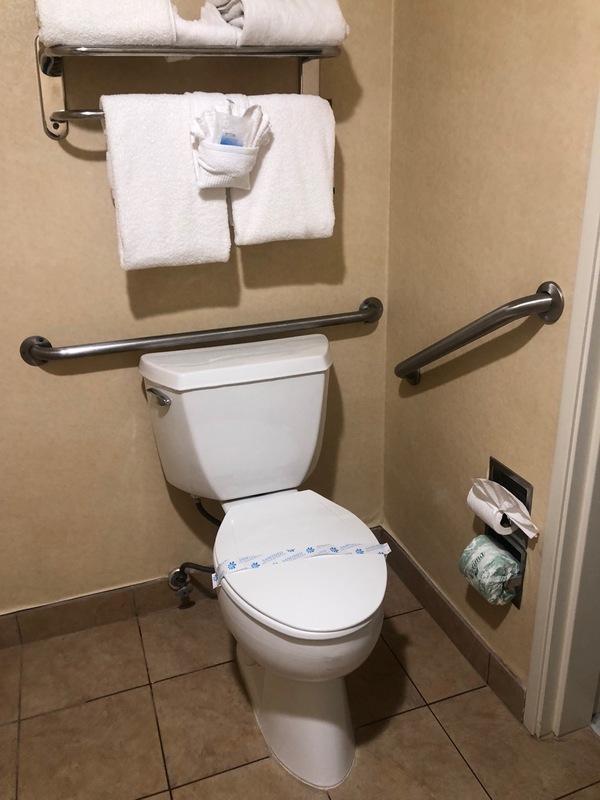 The lack of a roll-in shower wasn't a big deal as I don't recall it specifying what kind of mobility accessible room it was when I booked. However, the location of the grab bars for the toilet was a major problem as Mik couldn't use them. I don't so much mind having to help him, but it meant that when he was worn out for the day I couldn't go do stuff on my own like usual (or at least not for long enough to really to anything). The layout of the rest of the room was relatively spacious and reasonably easy to maneuver even the wheelchair around it. 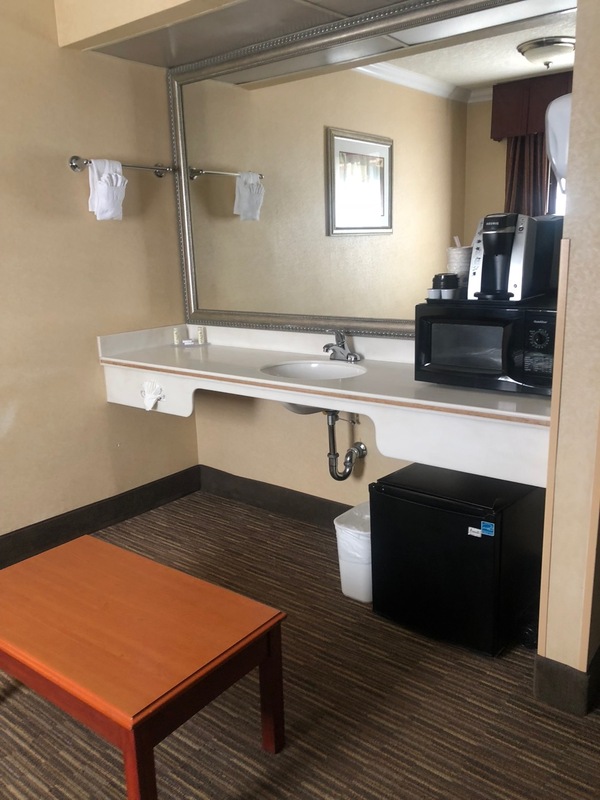 It was nice that it had a bed and a couch, although the sink's location was rather strange and would probably be awkward to annoying if you actually used the foldout aspect of the couch. Another reason why I tend to go with Best Western is that you almost always get microwave and fridge. The fridge was rather small, but not that unexpected. The microwave worked adequately, but was rather annoying in that it was the style you turn to how long you want making it difficult to accurately select the desired time. The Keurig was probably the only good feature here, though. 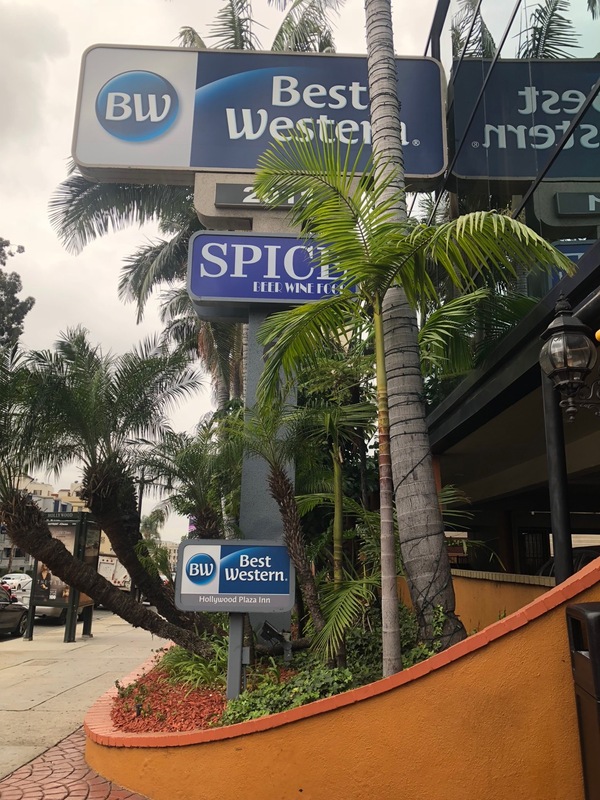 Overall there just really isn't anything that makes it worth staying at this hotel, especially considering it was more expensive than the nearby hotels that are probably just as good if not better and slightly closer to Hollywood Blvd. 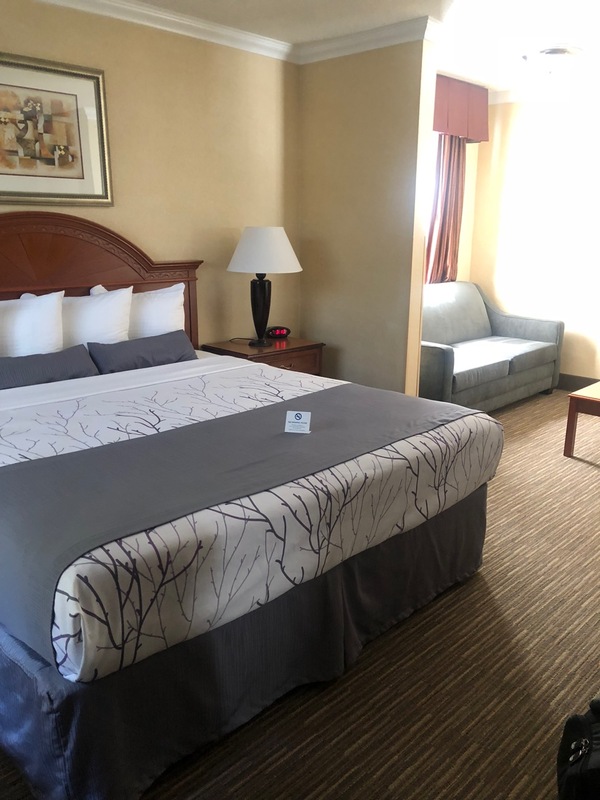 We were particularly annoyed that most days we had to go without getting our room cleaned because they never got to our room before 2:30 p.m. or even 3 p.m. some days. At least the internet was decent except for the one afternoon it was out, but that was understandable as the cable company was there working on it. As for TV, it's standard def, which would've been fine if it hadn't also kept freezing for 10 to 30 seconds every 5 to 10 minutes.